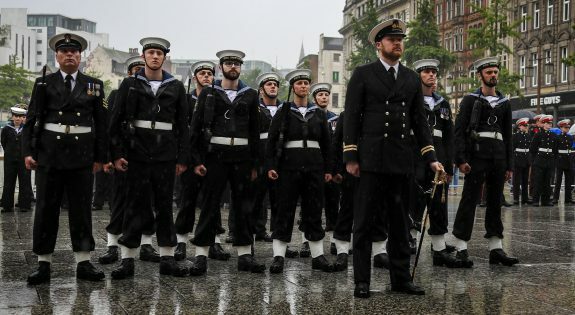 Royal Naval reservists have been busy preparing for one of Nottingham’s biggest events of the year, the Riverside Festival. 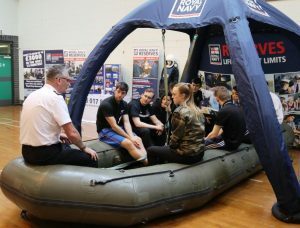 The reserves from HMS Sherwood, the East Midlands’ only Royal Naval Reserve (RNR) unit will be hosting a display where they will show some of their specialised equipment as well as taking part in demonstrations on the river with the Royal Marines Reserve (RMR) and competing in the Dragon Boat Race. The unit will be taking part in the Dragon Boat Race at Nottingham Riverside Festival for the first time and are being trained for the race by fellow reservist and Team GB canoeist Officer Cadet Afton Fitzhenry. Afton, aged 23, explained: “We decided to enter the charity Dragon Boat Race as it is for a good cause. This experience will be a first for a lot of the ships company whether it be racing a dragon boat or paddling. 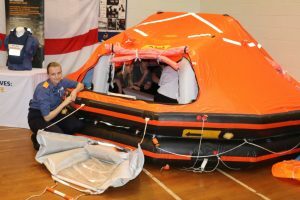 HMS Sherwood will be hosting a display on the riverside where members of the public can learn more about the types of training they do, the skills reservists develop and see inflatable boats, life rafts and an automatic cannon all used by the RNR. Lieutenant Commander Rod Grant from HMS Sherwood said: “We are really excited to be so heavily involved in the Riverside Festival. We think it is a great way to connect with the people of Nottingham and let them know more about the opportunities available to them in the RNR. The RMR will also be doing a live raiding party demonstration on the river, during which they will show how they use water to move behind enemy lines and why this tactic is still so effective. The Dragon Boat Race is raising funds for Rainbows Hospice for Children and Young People. To find out more about joining HMS Sherwood email navymr-sherwooduwo@mod.uk or visit www.royalnavy.mod.uk for further information.